Often is necessary to move the DMF Setup, without include the DMF Staging tables, from one environment to another. Out of the box there isn’t any standard feature that allow you to achieve this goal. About the first step I have created a job in order to list the DMF Setup tables. The trick is been exclude the tables that present the EXECUTIONID field, so the staging table! About the second step, I used the Test Data Transfer Tool in order to export and import the DMF Setup tables. Therefore, I created a txt file like below with the Tables list coming from the above Job and move in the ‘[Lists]’ Folder of the TDTT Package and run the Tool. 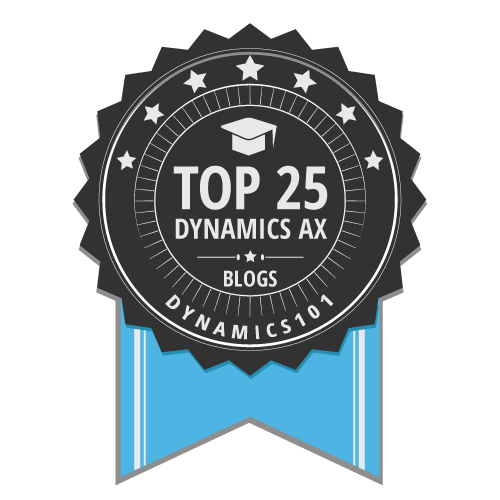 thank you so much for sharing this information about how to move DMF Setup across Enviroments in Microsoft Dynamics AX, it's just what I've needed.